On weekends, I sometimes stop at a few garage sales. 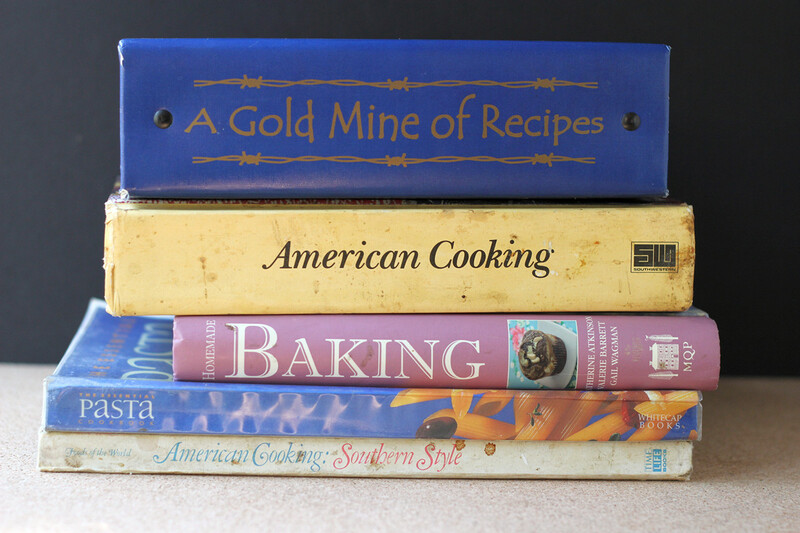 There are usually two things I look for: interesting kitchen I items I can use for cooking or photos ... and ... cookbooks. Sometimes I find a few gems. Last weekend, I picked up a tome called The Illustrated Encyclopedia of American Cooking (along with a few other books). No byline - it just says it's by the "Editors of Favorite Recipes Press." With a copyright of 1986, it's not exactly ancient, but it's not modern, either. 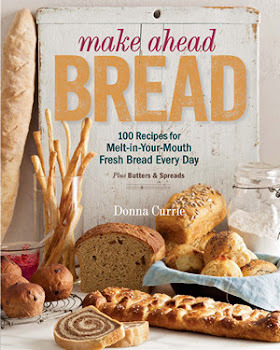 I paged through it looking for something interesting to make, and I spotted a recipe for Cottage Cheese Bread. Well, okay. I needed bread, I had cottage cheese, and of course I had yeast and flour and the rest of the ingredients. One thing I liked about the recipe was that it made just one loaf instead of two or three. I ditched most of the instructions. Hello, I like using my stand mixer for kneading. And it suggested baking in an 8-inch round casserole. I baked it in an 8-inch round cake pan instead. On odd thing was that this bread included 1/4 teaspoon of baking soda. 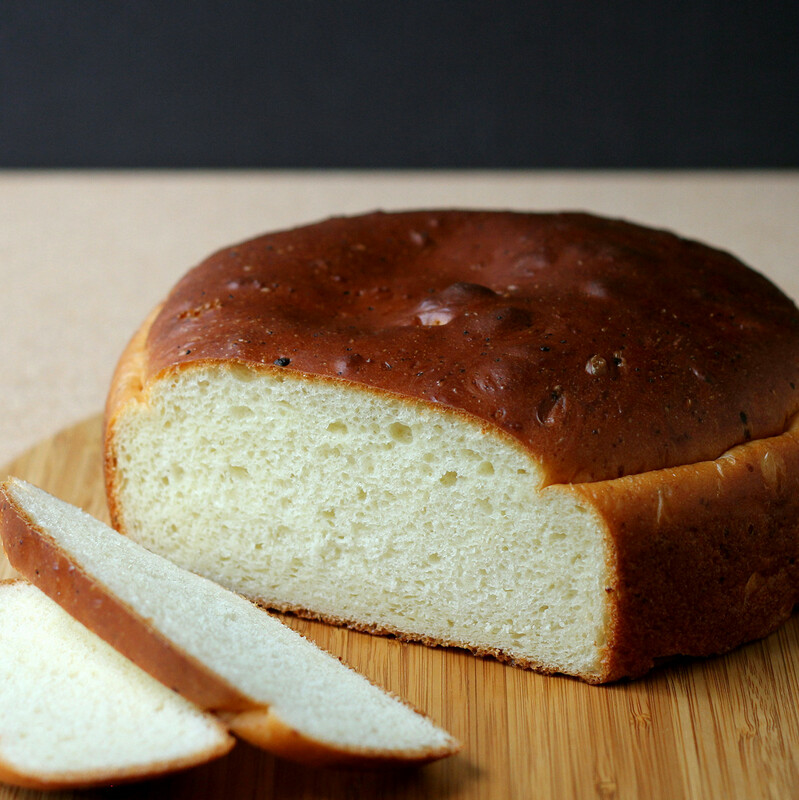 I'd ever added baking soda to a yeast bread, and I almost left it out. Then I thought, eh, what the heck. I used all the other ingredients, so I tossed the soda in, as well. Maybe next time I'll leave the soda out and see if it makes any difference. Combine all the ingredients in the bowl of your stand mixer and knead with the dough hook until the mixture is smooth and elastic. There will be bumpy bits from the cottage cheese, but the dough itself should be very smooth, shiny, and elastic. The dough is very loose and wet. Cover the bowl and set aside to rise for an hour. After the dough has risen, stir the bread to knock the air out. Spray an 8-inch cake pan with baking spray. Turn the dough out into the cake pan. It's a wet dough, so it won't hold it's shape very well. Encourage it to spread to a mostly round shape to fit the pan. You don't need to flatten it or shape the top - it will ooze on its own. Cover the pan (I upended the stand mixer bowl on top of the cake pan, but plastic wrap is fine. Let it rest for another hour. About 20 minutes before you're ready to bake, heat the oven to 350 degrees. When the two hours are up, uncover the dough and bake the loaf at 350 degrees until the bread is deep brown and the interior reaches 200 degrees on an instant-read thermometer (I like the Thermapen), about 35 minutes. Remove the bread from the pan and let it cool complete on a rack before cutting.